This weekend was a bit of a prelude to the 2-week trip to China that I’ll be partaking in during July as part of the culminating event to the 6-month DiSCOVER youth development program. 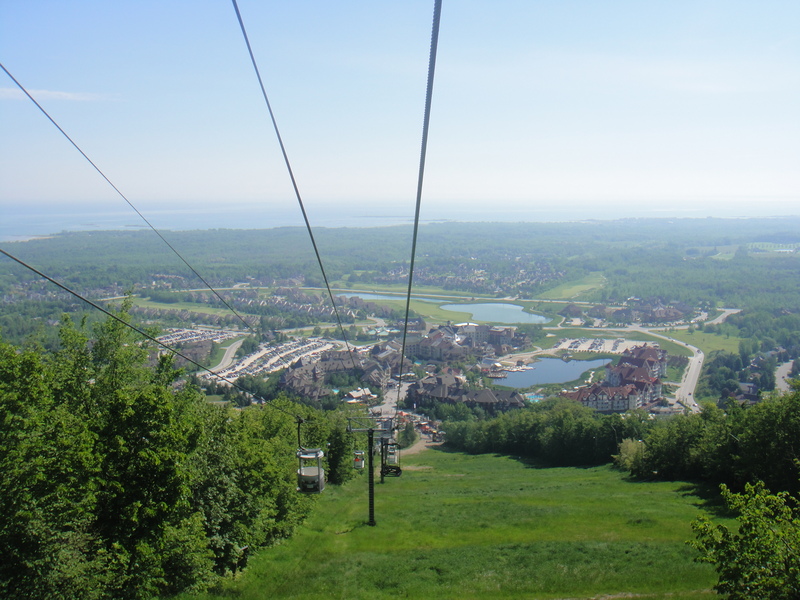 We went up to Blue Mountain in Collingwood, Ontario, and lodged in a very well facilitated resort house for the weekend. There were about 25 of us, both the participants and the organizing executives. We played lots of games — practical ones where we chose our partner to room with during the two nights; trust-building games that involved a member of the team wearing a blindfold while running and completing tasks on the top of the hills; team-building games where we pretended we were stranded on an island and had to find water, food, build a raft, shelter, and companion; communication games that involved holding hands to communicate a message from one end of the line to the other; and a lot of other ones. It was a really fun weekend and I got to know everyone a lot more. So far, we had only seen each other in the bi-weekly Mandarin classes and business/leadership workshops that followed the Mandarin classes each Saturday. Spending time, eating, and relaxing with each other in the resort house definitely allowed me to learn more about each individual. 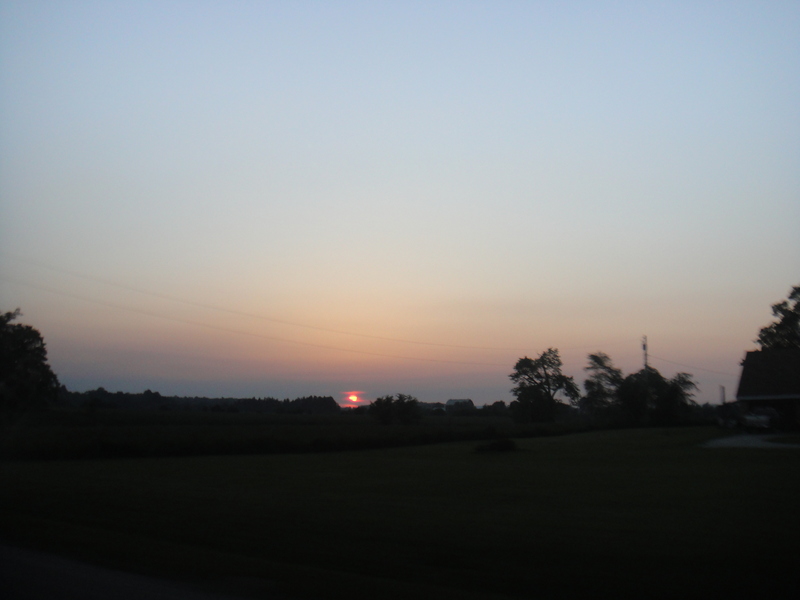 This is the beautiful sunset that welcomed us as we drove into cottage country on Friday evening. Because we were very up north, we were surrounded by farmland and open space; no high rises or skyscrapers here! The sun was a beautiful orange egg yolk as we watched it descend into the skyline. We enjoyed a lot of nature’s beautiful scenery that weekend and I was able to see the small dipper at night. I love it when there is a lack of light pollution. You definitely don’t get to experience these simple things in the city. The view from the top of Blue Mountain as we were in the gondola riding back down into the village. It was an amazing view and we were all a little surprised that we had trekked and hiked up all the way to the top with our own two feet! The gondola ride took little more than 3 minutes. It’s also a little prelude for us when we go to China and have to walk up the Great Wall and climb Mount Tai. Lots of endurance and hiking abilities needed! We also bonded over drinks. 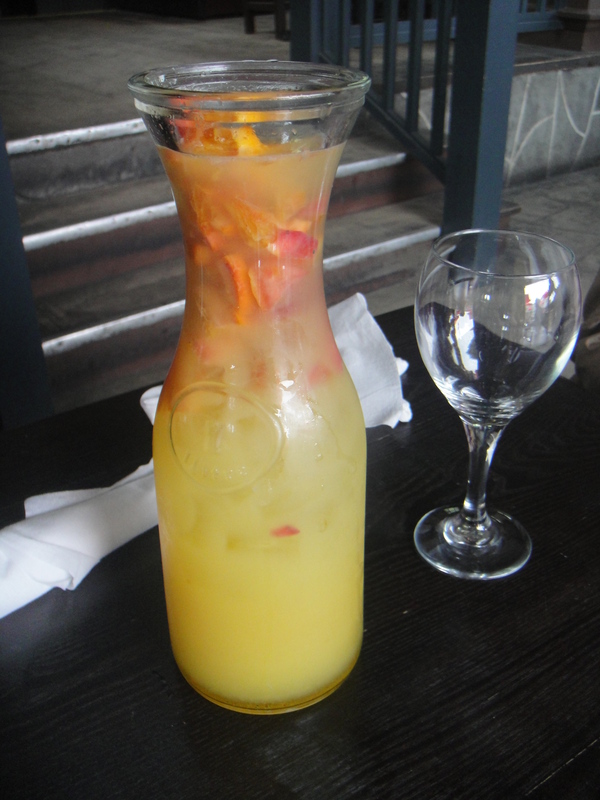 This is a pitcher of the white peach sangria that four of us shared at the Kaytoo Restaurant. It was very refreshing and fruity. 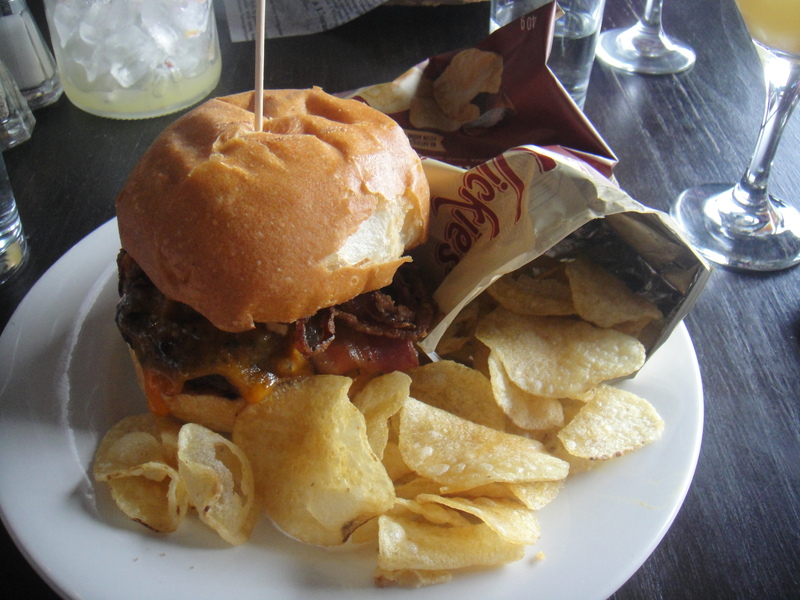 This is the “Stampeder” burger that I had at the same restaurant. It was made with a beef patty, bacon, cheese, and mushrooms. 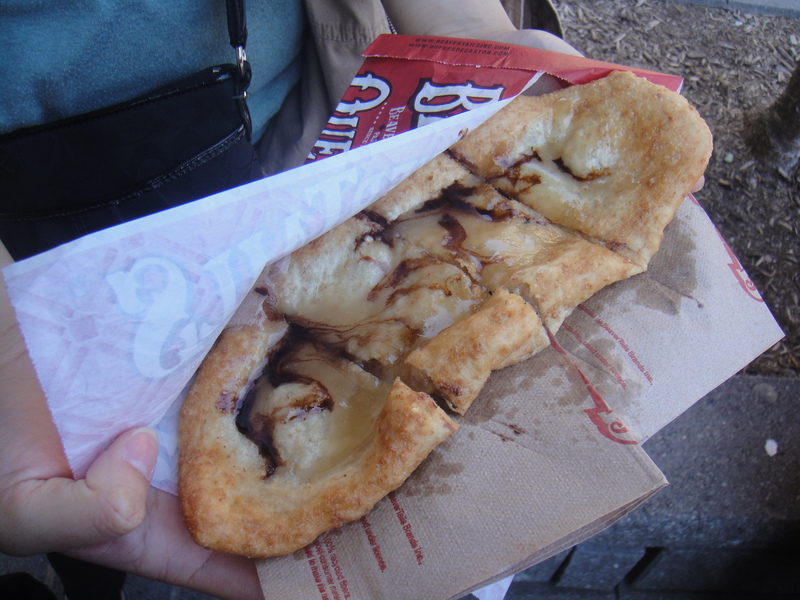 Very yummy! 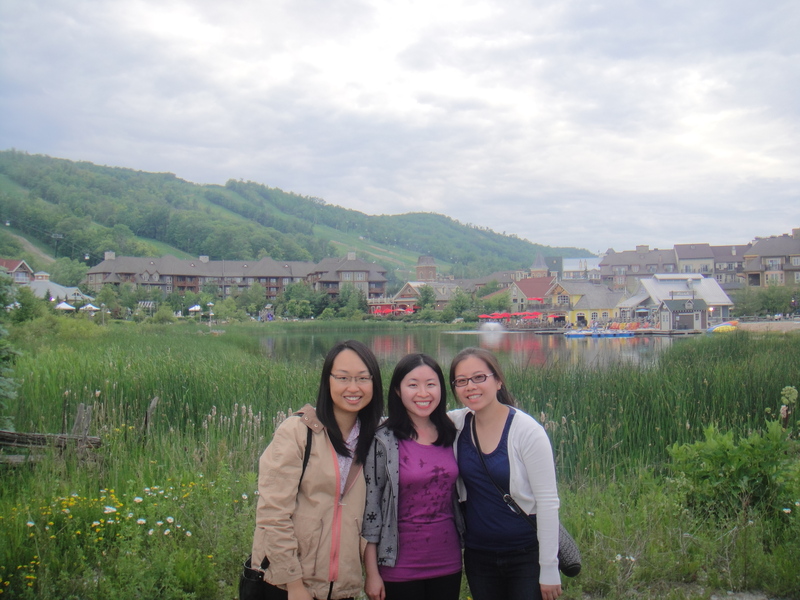 Here we were posing in front of the Blue Mountain Village during our walk after dinner. It was so nice out. Perfect weather to just walk around and chit-chat and enjoy the view. You can see the hills in the background. During the winter, many ski and snowboard enthusiasts fill the slopes and carve into the fresh powder every year. What a beautiful and lovely place this was to have a retreat this weekend. 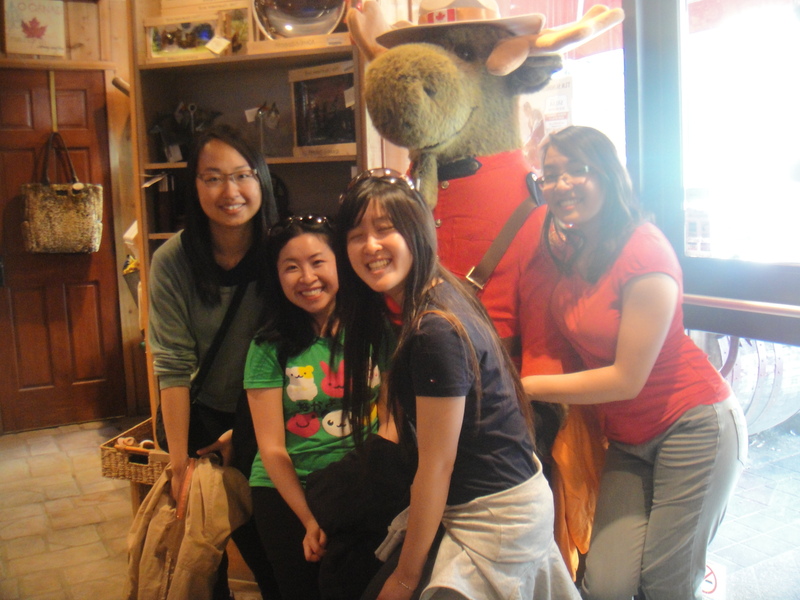 This entry was posted in Learning, Travel and tagged Blue Mountain Village, Collingwood, DiSCOVER 2013, friends, games, leadership, Mon Sheong, new friendships, retreat, team-building. Bookmark the permalink.